Whiteaker: That the Board track and compile all additional costs and lost facility rental revenue associated with the Temporary Shelter on 1240 Yates Street with the intent to present these costs to the City of Victoria, BC Ministry of Education and BC Ministry of Housing . / Carried. Unanimous. Leonard: That the Board direct the Superintendent to report to the Board as soon as possible on the status of the Oak Bay field project with recommendations to the Board. / Carried. Unanimous. Yates Street Temporary My Place Transitional Home Neighbourhood Agreement and authorize the Chair to sign on as a signatory, on behalf of the Board. Recommended motion from Superintendent, moved McNally: That the Board approve the 1240 Yates Street Temporary My Place Transitional Home Neighbourhood Agreement and authorize the Chair to sign on as a signatory, on behalf of the Board. / Carried. Unanimous. That the Board approve the 1240 Yates Street Temporary My Place Transitional Home Neighbourhood Agreement and authorize the Chair to sign on as a signatory, on behalf of the Board. / Carried. Unanimous. That the SD61 Amended Annual Budget Bylaw [money already spent and targeted – this year’s budget, actual numbers] in the amount of $226,198,077 be read 3 times and the Chair and Secretary-Treasurer be authorized to sign, seal and execute on behalf of the Board./ Carried. Unanimous. That the Board approve posting of the 2016-17 school year calendar on the SD61 website for one month. / Carried. Unanimous. That the Board approve the following motion to the BCSTA AGM: That the BCSTA urge the Ministry of Education to provide additional targeted funding for First Nations children and youth in care. / Carried as amended. / For: Leonard, Loring-Kuhanga, McNally, Nohr, Orcherton, Watters Against: Ferris, Whiteaker // McNally: Amendment: Add “by requesting additional funding from the Treasury Board. / Carried. Watters: That the Board of Education accept the Policy proposal on Gender Identity and Gender Expression presented by the District Gender and Sexuality Alliance (GSA) and refer it to the Policy Subcommittee for further development and consultation with partner groups as per Bylaw 9210 (The Development of Policy) and Policy 1163 (Consultation). / Ferris: Amendment: That the board accept this Policy and Regulation proposal. / Carried. Unanimous. Notice of motion: Ferris: That the secretary-treasurer investigate the process by which the board, in conjunction with the Vic High alumni Association, might apply for federal infrastructure money for the development of new field at Vic High. That the Board approve up to $1,900,000 spending for fixed projection devices as identified in the Technology for Learning strategy (p 38 agenda) from the local capital reserve. / Carried. Unanimous. Ferris: That the Board direct the Secretary-Treasurer to investigate the process by which the Board, in conjunction with the Victoria High School Alumni Association, might apply for federal infrastructure money for the development of the new field at Victoria High School. / Carried. Unanimous. Notice of motion: McNally: That the Board direct the Superintendent to a) report on district support in place, if any, for students who no longer have youth bus passes as a result of government action and who use public transportation to get to any Academy or BAA course, including the new Aviation course at Mount Douglas High School, b) report the number of students who need the support to access District courses and c) effects if any on attendance at programs, particularly the SJ Willis Alternative program. a) a list of all single program(one off) presentations to students in SD 61 schools by school and by presenter for 2014-15 and 2015-16. McNally: That the Board request that the Superintendent call for a report to the Board on a) Reading Recovery enrolment in SD61 and the South Island Consortium, and b) achievement in SD61 as well as any pertinent data from the South Island Consortium Reading Recovery Teacher Leader. Ad Hoc Partnership Committee: Recommended Motion: That the Board approve Policy 1325 “Partnership” and attachment. / Carried. For: Ferris, McNally, Nohr, Orcherton, Watters Whiteaker Against: Paynter // Whiteaker: Amendment: At fifth point page 11 add “and District staff”. School-based project committees need to know they cannot go ahead with plans for large projects without involving senior administration at the district level. / Amendment carried. Unanimous. McNally: That the Board of Education of School District No. 61 (Greater Victoria) request that the Superintendent call for a report to the Board on, a) Reading Recovery enrolment in SD61 and in the South Island Consortium, and b) achievement in SD61 as well as any pertinent date provision from the South Island Consortium Reading Recovery Teacher Leader. / Carried. Unanimous. Notice of motion: Watters: That the Board write a letter inviting all partner groups to participate with the District GSA in the Victoria Pride Parade. No business was completed at this meeting as only Trustees present were Leonard, Nohr and Watters. Assigned members of the Operations Policy and Planning Standing Committee: Chair Leonard; McNally, Paynter, Watters (ex officio Loring-Kuhanga – vote but not counted for quorum). McNally and Paynter attended the second City of Victoria Community Meeting regarding the My Place transitional shelter, unavoidably called for the same time as the OPPS meeting. Whiteaker, not a member of OPPS, attended as well. The business of the OPPS meeting will come forward to the Board meeting Monday April 18. That the Board refer the matter of Student Transfer to the Policy subcommittee. / Carried. Unanimous. Recommended (by Secretary-Treasurer): That the Board agree to give all 3 readings of Capital Bylaw No. 127098 being a Bylaw for the maximum expenditure of $3,069, 292 for the capital portion of the Annual Facilities Grant allocation. / Carried. Unanimous. That the above be read a 1st, 2nd, 3d time, and be passed and adopted, and that the Secretary-Treasurer and Board Chair be authorized to execute and seal on behalf of the Board. / Carried. Unanimous. 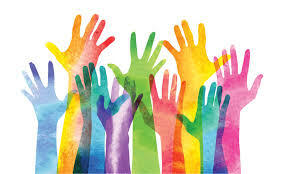 Watters:That the Board direct the Superintendent to extend formal invitations to all partner groups inviting their participation with the Gender and Sexuality Alliance (GSA) in SD61’s Victoria Pride Parade entry. / Carried. Unanimous. Watters:That the Board recognize the National Day of Mourning. / Carried. Unanimous. Notice of motion: Loring-Kuhanga (for OPPS): That the Board establish 4 Committees. Notice of motion: Loring-Kuhanga: That the Board formally invite the Songhees and Esquimalt Nations to the table as stakeholders. Notice of motion: Whiteaker: That the Board add another year to the Parent Education Fund. Agenda approved with addition of motion from the floor : Whiteaker: That the Board create a Parent Education Fund as part of the 2016-17 budget . That the Board approve carrying forward $5,910,764 to the 2016/17 school year to be applied against the projected deficit./ Carried. Unanimous. Recommended Motion [recommended by Secretary-Treasurer]: That the Board approve carrying forward $1,800,000 to the 2017/18 school year to be applied against the projected deficit. / Carried. Unanimous. Recommended motion (recommended by Secretary-Treasurer): That the Board agree to give all 3 readings of the 2016/17 Annual Budget Bylaw at the meeting of April 20, 2016. (Motion to be carried unanimously.) / Carried. Unanimous. No motions; major information presentations from Aboriginal Nations Education and Special Education. Notice of Motion: Nohr: That the Board initiate a temporary change to the Education Policy and Directions Committee that would allow the Committee to meet at 4:30 for September to December 2016, with a review at the December Education Policy and Directions meeting. Senior admin recommended motion: That the Board accept the recommendations of the SubCommittee and that the Superintendent be directed to create an administrative procedures manual and publicly available job descriptions to replace Policy and Regulations in appropriate circumstances. / Carried. Unanimous. Sec-Treas recommended motion: Recommended motion: That the Board adopt the revised Policy 1150 Communications Policy. / Carried. Unanimous. Sec-Treas Recommended motion: That the Board approve naming the new teaching platform on Bowker Creek at Oak Bay High School “The Glen Atkinson (Memorial) Outdoor Classroom”. / Carried. Unanimous. Sec-Treas recommended motion: Recommended motion: That the Board receive the Long-Term Facilities Plan Framework report as presented. / After discussion, motion not moved so will go forward to the Board. Nohr: That the Board refer Policy 3451 Donations To Schools to the Policy Sub-Committee for an update and establish criteria for advertising presence our schools. / Referred by unanimous consent to Policy Sub-Committee. i.That Board ask for an exemption for students regarding BC transit fare increases of June 21, 2016. // Recorded incorrectly: should be: [from Whiteaker, at Ed Policy and Directions] That the Board support the student initiative on June 21 at the BC Transit office to lobby for student exemption from recent fare increases. / [Carried unanimously at Ed Policy.] // Carried. Unanimous. ii.That the Board request that the Board Chair work with the Chairs of School District 62 and 63, with the three districts liaising with BC transit for student exemptions to the fare increases. // Recorded incorrectly; should be [from Watters, at Ed Policy and Directions] That the Board direct the Chair to establish liaison with Sooke and Saanich Boards to coordinate request to BC transit for student exemption. / [Carried unanimously at Ed Policy.] // Carried. Unanimous. That the Board accept the recommendations of the Subcommittee that the Superintendent be directed to create an administrative procedures manual and publicly available job descriptions to replace policy and regulations in appropriate circumstances. / Carried. Unanimous. That the Board adopted a revised Policy 1150, Communications Policy. (p 28 agenda) / Carried. Unanimous. That the Board approve naming the new teaching platform on Bowker Creek at Oak Bay High School “Glenn Atkinson ( Memorial) Outdoor Classroom‘. / Carried. Unanimous. That the Board invite the Esquimalt and Songhees Nations, as First Nations stakeholders, to attend committee and regular Board meetings. / Carried. Unanimous. That the Board refer Policy 3451 – Donations To Schools to the Policy Subcommittee for an update and establish criteria for advertising presence in our schools. Carried. Unanimous. That the Board direct the Superintendent to establish a process for developing a District Code of Conduct. / Carried. Unanimous. Recommended by Secretary-Treasurer: That the Board direct staff to prepare an interim capital plan for approval by the Board to submit to the Ministry of Education while the long-term Facilities Plan is created./ Carried as amended, unanimous. // Whiteaker: Amendment: Include regular reporting to the Board re variances in enrolment or other plans. / Carried. Unanimous. Loring-Kuhanga (from the floor): That the Board direct the Chair to write a letter disagreeing with the 95% number as a prerequisite to seismic upgrades. // Whiteaker: Motion to refer [postpone] this motion to June OPPS. / Carried. Unanimous. Loring-Kuhanga: That the Board refer Policy 7110.1 to the Policy Subcommittee or an Ad Hoc Facilities Committee for review and update to include the District’s surplus facilities and leased properties in order to protect our assets on a long term basis./Carried. Unanimous. Notice of motion: Whiteaker: For OPPS June 13: Include a place for “Correspondence’ on the Board agendas. Will need to change the applicable Bylaw. Recommended [by senior administration ] motion: That the Board approve the BAA course “Introduction to the International Certificate 12”./ Carried. Unanimous. Recommended [by senior administration] motion: That the Board approve the BAA course “Experiential Learning 12”. /Carried. Unanimous. Recommended [by Secretary-Treasurer] motion: That the Board approve Policy 100: Philosophy and Goals of Education ./ Carried as amended. Unanimous. // McNally: This Policy statement is not about “goals”. It’s about how the Board will achieve goals, descriptors of process, not Goals of education. Moved: referral back to committee. [Amedment made this unnecessary, below; withdrawn] // Watters: Goals would come from Strategic Plan. Could amend the motion to delete “goals: from the Policy title. Delete “And Goals of Education” from the title of the Policy. / Carried. / Watters: Add “in 2016” to first paragraph. / Carried. // Watters: Third paragraph to start: “The Board is committed to the following values: ” / Carried. I did not attend this meeting as it was the same night as the “Choices” temporary shelter community meeting at the View Royal Town Hall. BC Housing wants to add spaces to bring the shelter residents number to 80. There have been no problems expressed by Eagleview school administration, or by the school’s Parent Advisory Council Chair. 16, 2016 directing staff to create an interim Capital Plan, and further direct staff to prepare a new capital plan in accordance with [new! surprise! ]Ministry of Education instructions for submission in September. / Carried. Unanimous. Recommended by Sec-Treas: That the Board approve that: a.$550,000 of the newly available funding for 2016-17, plus identified budget variances, be allocated to fund the purchase of mobile devices for teachers and that the previously approved annual expense budget of $250,000 for the cost to lease mobile devices be released and applied against the structural deficit; b.$200,000 of the newly available funding for 2016-17 be allocated to address water quality issues in schools, as well as school security and access issues; c.$77,353 of the newly available funding for 2016 -17 be allocated to fund the purchase and/or repair and maintenance of shop equipment following a review by Facilities Services and the administration responsible for Career Programming of the immediate and future needs of District shop facilities. / Carried. Unanimous. -Committee to include appropriate legislative and/or policy references as appropriate when providing recommended updates to the Board./ Carried. Unanimous. Recommended by Sec-Treas: That the Board approve Policy 3323 -Purchasing Services. / Carried. Unanimous. Recommended by Sec-Treas: That the Board accept the recommendation of the Policy Sub-Committee that policies 1163 Consultation, 1250 Trustee/School Liaison and 1311.1 Polling at Schools be considered reviewed with no changes. / Carried. Unanimous. Recommended by Sec-Treas: That the Board delete Policy 1164 Decision-Making: Authority,Responsibility and Accountability. / Carried. Unanimous. Rec Sec-Treas: That the Board delete Policy 1220 Community Advisory Committees. / Carried. Unanimous. Rec Sec-Treas: That the Board direct the Superintendent to review Policy 1240 – School Volunteers and its associated regulations and guidelines including consultation with our stakeholders to ensure that the District is encouraging volunteers in schools while continuing to respect our collective agreement obligations . / Carried. Unanimous. Rec Sec-Treas: That the Board delete Policy 1260Community Education. / Carried. Unanimous. That the Operations Policy and Planning Committee receive the report of the Policy Sub-Committee as presented./ Carried. Unanimous. Paynter: That the Board, commencing at the end of the 2015/16 fiscal year, return the Trustee Professional Development Fund allocations to general revenue for allocation in the next fiscal year. // Motion to refer to September OPPS. / Referral carried. Whiteaker: That the Board amend Bylaw 9360 General Meeting of the Board, Section 11 to include a section for correspondence. / Carried. Unanimous. Watters: That the Board refer Policy 7110.1 to the Policy SubCommittee or the Ad Hoc District Facilities Committee for review and update to include the District’s surplus facilities and leased properties in order to protect our assets on a long-term basis. / Carried as amended. Unanimous. // Watters: Amendment:Delete “or the Ad Hoc District Facilities Committee” Amendment carried. Unanimous. Watters: That the Board task the Superintendent with developing regulations and/or administrative guidelines for the creation, review and enforcement of school dress codes in order to ensure that any dress codes in our district reflect the Board’s commitment to gender equity in both intention and practice, and that they are in alignment with Policy 4303 Discrimination . / Carried. Unanimous. Loring-Kuhanga: That the Board write a letter to the Ministry of Education disagreeing with the 95% utilization rate as a prerequisite to seismic upgrades . / Not moved. Notice of motion: Ferris: That the Board rescind the motion from December 14, 2015 that moved the annual Trustee elections from the November board meeting to the June board meeting. That the Board approve the BAA course Global and Intercultural Studies 12. / Carried. Unanimous. That the Board approve the BAA course Global and Intercultural Experience 12. / Carried. Unanimous. That the Board approve Policy 100 Philosophy of Education. [Policy last reviewed October 1985; reviewed and revised June 2016 by Policy Subcommittee.] / Carried. Unanimous. i) That the Board rescind the motion of May 16/16 directing staff to create a new Interim Capital Plan and further direct staff to prepare a new Capital Plan according to to Ministry instructions for submission in September. ii) That the Board approve that a) $550,000 of the newly available funding for 2016-17 plus identified budget variances be allocated to fund purchase of mobile devices for teachers and that the previously approved annual expense budget of $250,000 for the cost to lease mobile devices ne released and applied against the structural deficit b) $200,000 of the newly available funding for 2016-17 be allocated to address water quality issues in schools as well as school security and access issues c) $77,353 of the newly available funding for 2016-17 be allocated to fund the purchase and / or repair and maintenance of shop equipment following a review by Facilities Services and the administration responsible for Career Programming of the immediate and future needs of District shop facilities. / Carried as amended. Unanimous. // McNally: Motion to amend: Replace “newly available funding” with “newly returned funding from the Ministry of Education” in all the sections of this motion. / Amendment carried. Unanimous. That the Board direct the Policy Subcommittee to include appropriate legislative or policy references as appropriate when providing recommended updates to the Board. / Carried. Unanimous. That the Board approve Policy 3323 Purchasing Services. [p 66 agenda; had not been reviewed since 1970] / Carried. Unanimous. That the Board accept the recommendations of the Policy Subcommittee that policies 1163 Consultation, 1250 Trustee/School Liaison, and 1311.1 Polling At Schools be considered reviewed with no changes. / Carried. Unanimous. That the Board delete Policy 1164 Decision Making Authority and Accountability. [Policy adopted in 1992 and never reviewed.] / Carried. Unanimous. That the Board direct the Superintendent to to review Policy 1240 School Volunteers [last reviewed 1991] and its associated regulation and guidelines including consultation with our stakeholders to ensure that the District is encouraging volunteers in schools while continuing to respect or collective agreement obligations. / Carried. Abstain: McNally // McNally: Motion to amend: Replace “encourage” with “allow. / Amendment defeated. That the Board delete Policy 1260 Community Education. [Last reviewed 1995.] / Carried. Unanimous. That the Board amend Bylaw 9360 General Meeting of the Board Section 11 to include a section for correspondence. / Carried. Unanimous. That the Board refer Policy 7110.1 to the Policy Subcommittee for review and update to include the District’s surplus [“surplus”] facilities and leased properties in order to protect our assets on a long term basis. / Carried. Unanimous. That the Board task the Superintendent with developing Regulations and / or administrative guidelines for the creation, review and enforcement of school dress codes in order to ensure that any dress codes in our District reflect the Board’s commitment to gender equity in both intention and practice, and that they are in alignment with Policy 4303 Discrimination. / Carried as amended. // Leonard: Motion to amend: Add “And that the Superintendent will bring proposed administrative guidelines back to the Board“. / Amendment carried. Unanimous. That the Board approve the 2016/17 Board of Education proposed meeting dates and Standing Committee meeting dates. / Carried as revised. Unanimous. Recommended [ by Sec-Treas] motion : That the Board amend the District Facilities Plan Committee TOR to include the membership of [meaning, the representatives from] the Songhees and Esquimalt Nations./ Carried. Unanimous. McNally: That the Board direct the Chair to sign the Choices Neighbourhood agreement as presented. / Carried. Unanimous. Notice of motion: Whiteaker: Motion to continue Parent Education fund : for September OPPS.